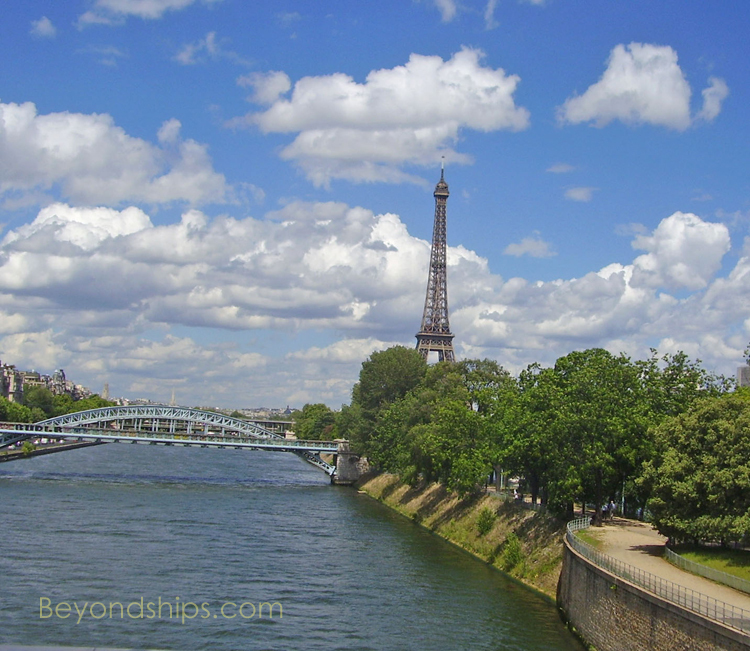 Although cruise brochures often list Paris as being on the itinerary. The cruise ports in Normandy are actually a significant distance from Paris. It can take from two to over three hours to get to Paris from the coast and the same amount of time to return. That does not leave much time for actually being in Paris during a typical cruise ship port call. 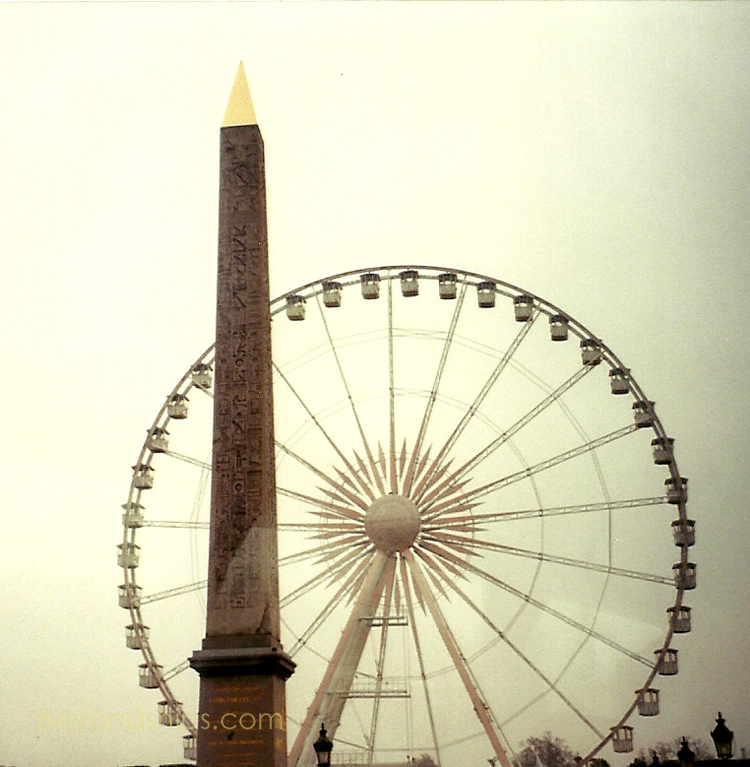 Nonetheless, one can have a rewarding experience in Paris. The shore excursions generally take the guests past the city's major landmarks and then focus with stops at one or two such as Notre Dame, the Eiffel Tower or the Louvre. Some will offer a lunch of the Seine on a batteau moche. Traveling independently to Paris, one should focus on one attraction rather than try to do everything. Keep in mind that the time is limited. While the ship will wait for a shore excursion to return, it may not wait for individual passengers. Trains from Le Harve take two to two and a half hours to get to Paris' St. Lazare station. The station in Le Harve is a 20 minute walk from the cruise port but since it is a commercial port, it is sometimes necessary to take a taxi. Direct trains from Cherbourg take about three hours and 15 minutes and also go to Gare St. Lazare. The following are some of the landmarks and attractions of Paris that can be experienced during a port call. 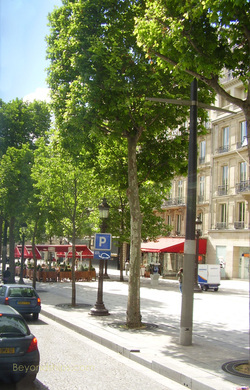 Century reconstruction of Paris during which the city was transformed from a medieval city with narrow winding streets to one with broad tree-lined avenues and Belle Epoch buildings. terrors of the French Revolution took place including the guillotining of the king and queen of France. 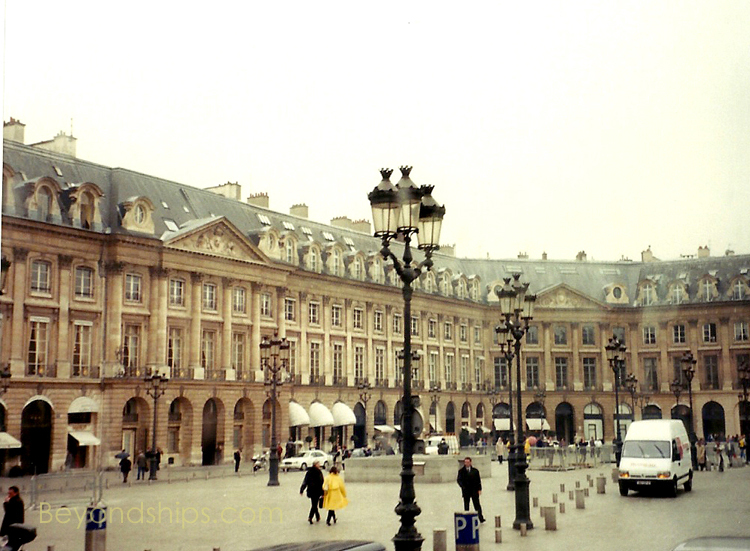 The Place Vendome (left) is a large square originally built to honor the conquests of Louis XIV. 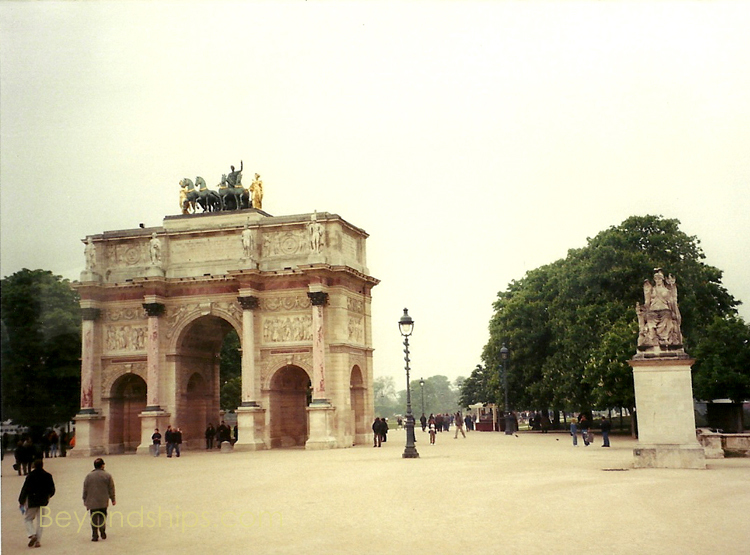 However, it is more often associated with Napoleon who erected a large column in the middle of the square to mark his victory at Austerlitz. Today, the Place Vendome is noted for its exclusive luxury shops. The Palais Garnier (left), popularly known as the Paris Opera was built in the second half of the 19th Century during the reign of Emperor Napoleon III as part of the great reconstruction of Paris. An accident with its great chandelier was the inspiration for the story "The Phantom of the Opera." Although still called the Paris Opera by many, the opera company has not called the building home since 1989. 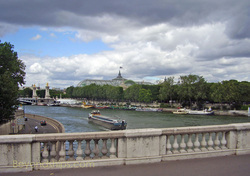 Paris lies on both banks of the River Seine. The north bank is the traditional home of royalty and commerce. The south bank or Left Bank is traditionally the more bohemian side. 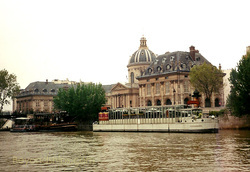 The river is plied by floating restaurants know as batteau moches. A favorite tourist attraction, these vessels do provide excellent views of many of the city's landmarks. Fair of 1900, is now dedicated to contemporary art. It is the world's largest ironwork and steel structure. 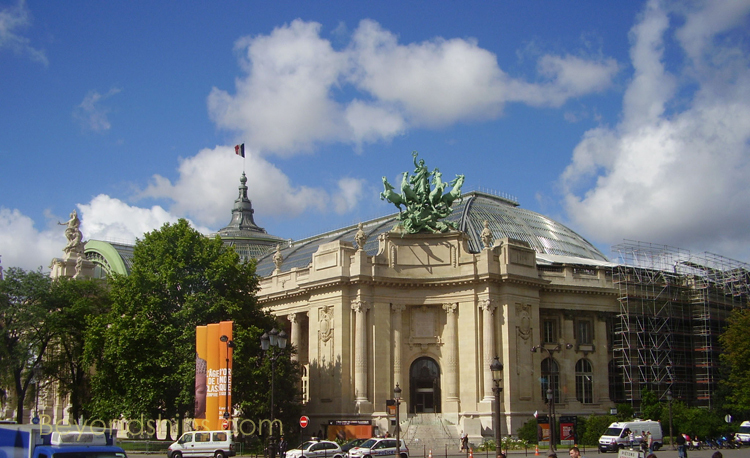 Of course Paris is also home to the world's largest and most visited art museum, the Louvre. (See our profile of the Louvre). here before going to war, kings and queens (including Mary Queen of Scots) were married here; and Napoleon crowned himself emperor here. 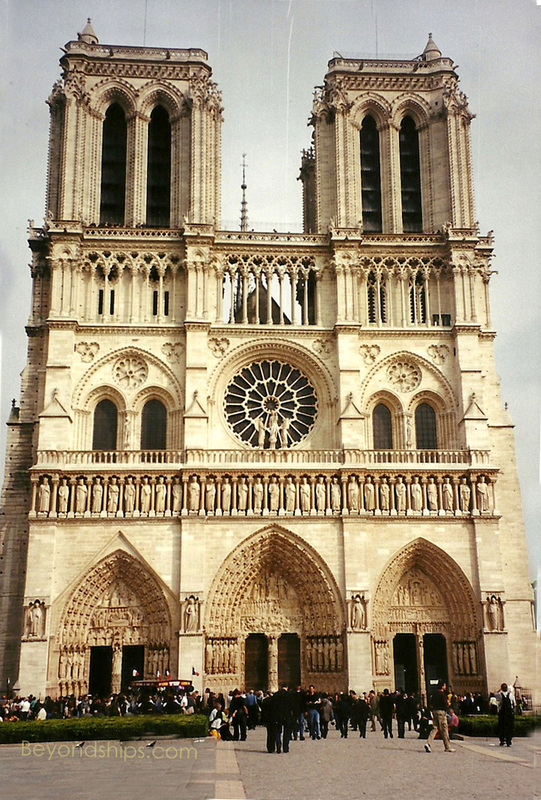 Notre Dame" led to its being restored instead. 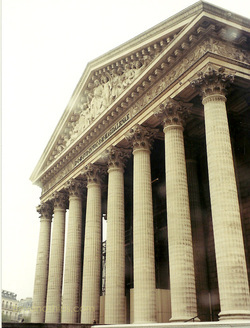 Left: Another famous Parisian church is La Madeleine. It was conceived of by Napoleon as a tribute to the Grand Armee. was better used as a church dedicated to Mary Magdalene. 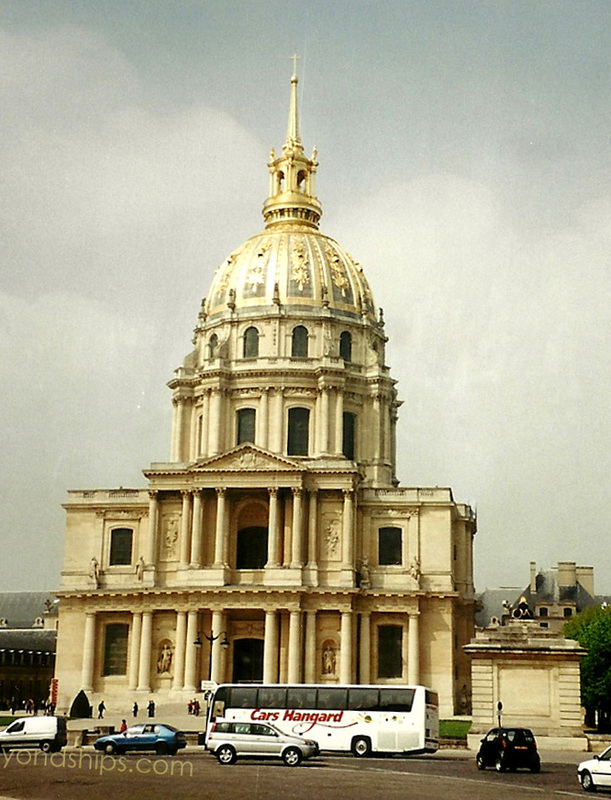 The Hôtel des Invalides was built by King Louis XIV (the Sun King) to house injured soldiers. 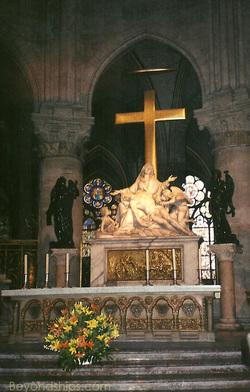 It is now best known as the last resting place of Napoleon, whose remains were brought to Paris in 1842 from St. Helena in the Atlantic where he died and was initially buried. In addition to Napoleon's Tomb, the Invaildes houses the Musée de l'Armée, which has an extensive collection of weapons, uniforms and items related to military history. 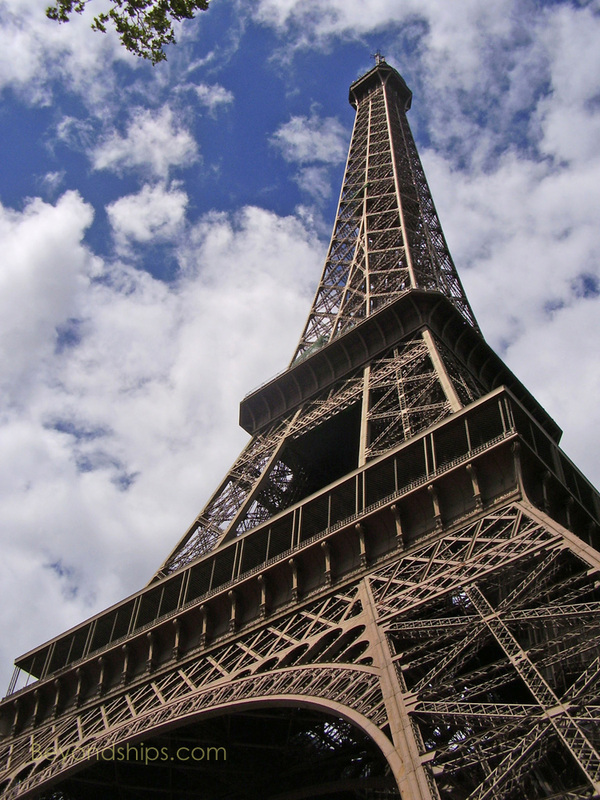 The city's most famous landmark is, of course, the Eiffel Tower. 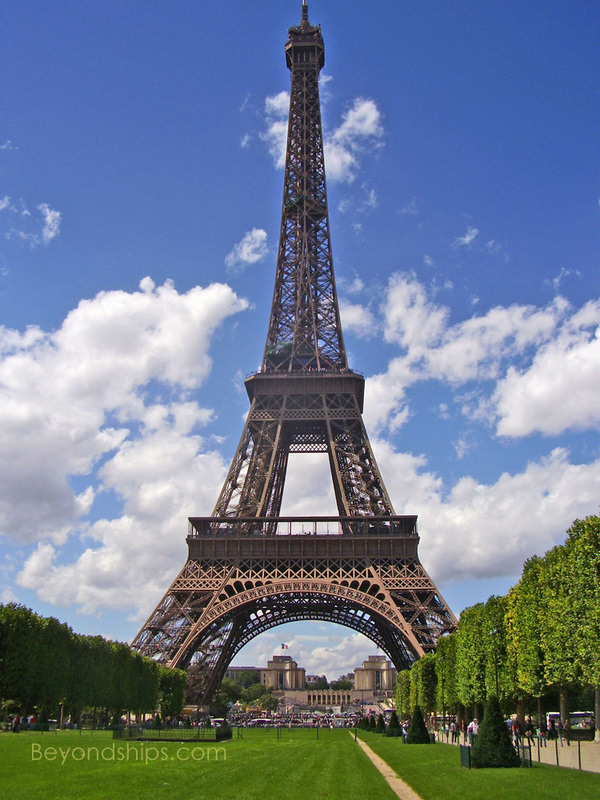 Built for the Paris World's Fair of 1889, the Tower was controversial when it was first constructed. However, it has now become a symbol of France and light shows and pyrotechnic displays at the Tower celebrate important moments. The Tower has two restaurants, a buffet and a champagne bar but its most impressive feature is the panoramic views.